Everyone has their own substance. If Athleticism doesn’t sound like yours, you can explore more options below. 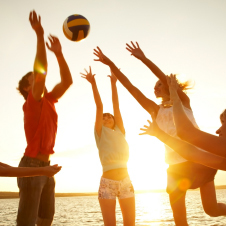 Play beach volleyball with friends, try out for soccer at your school, or cheer for your team. Keep your eye on the “goal” and have fun. Go surfing, paddling, or just keep swimming. Drink up the excitement in these wet and wild adventures. 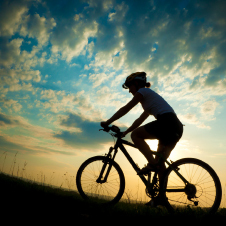 Get on your bike, check out martial arts, or relax your mind in a yoga class; channel your energy through your passion.